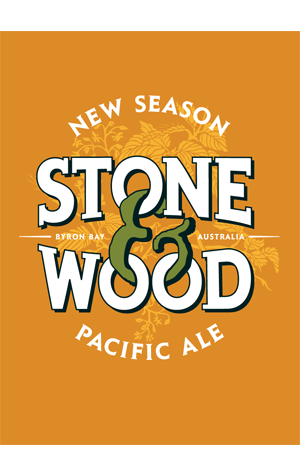 Year round, it's the beer that showcases the Galaxy hop better than any other and now Stone & Wood is offering fans close to its Byron Bay / Northern River homes a chance to taste it with the freshest hops possible. A phalanx of young brewers and reps from the ever-expanding NSW brewery headed to the hop fields of Tasmania to see Galaxy (and its sisters) on home territory. According to one, Hugh Doyle: "I will never forget breaking apart the plucked Galaxy hop from the bine. The smell of the hope exploded with a fresh fruit aromatic that can only be experienced while you're standing in the field. It was like a Pacific Ale on hyper volume!" The brewers then looked to capture that fresh hop character in a single batch brew of the beer, the New Season Pacific Ale (or Pac Ale as it seems to be known closer to its source). We planned to sample some at the Brewsvegas launch party but it had sold out by the time we got there and managed to miss a train back from an event in Ipswich thus failed to make it to Stone & Wood's Surfari the following evening too. So all we can tell you is that the brewers added a few bags of fresh hops to give their flagship beer "an extra fruity resinous kick" and that, given how fast it's going, you'd best find some soon. NB: It's only available in the Northern Rivers, Gold Coast, Sunshine Coast and Brisbane region.